This is a maned seahorse. 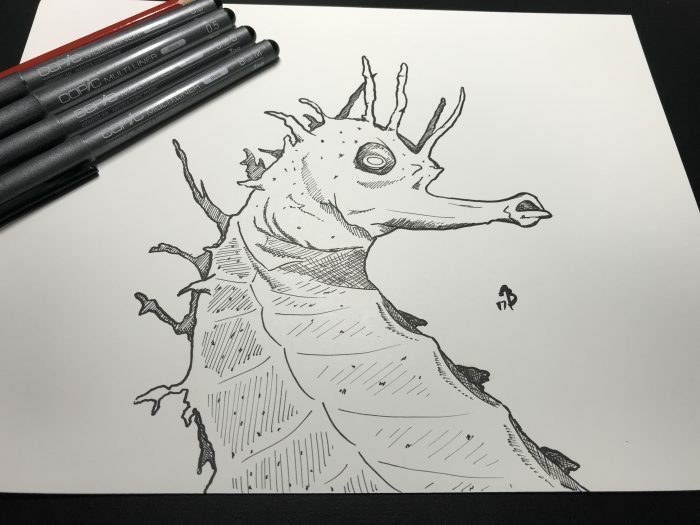 I ran across a photo of one online while looking for today’s Inktober prompt of “underwater”. This little guy looked awesome, so I decided to try drawing him. I used all Copic multiliners for this one (in addition to sketching with a Prismacolor Col-Erase pencil). I’m not great at texturing nor shading, but even so, this is still one of my favorite drawings in recent memory.